A conference bridge is a phone number or user you call into, to expand the number of other users on a phone call. How To Setup A Conference Bridge? For Fastmetrics conference bridges, we require a leader to start the call. A conference leader has the power to moderate the conversation. By an Office Manager or your phone system admin, through the online management portal. Through commands entered by the leader while on the bridge / call. These commands are listed below. For information on adding your own conference bridge to your metricPHONE system, please e-mail support@fastmetrics.com or contact your Sales representative directly. What Role Does A Leader In A Conference Bridge Take? If you’re logged into the bridge as a leader, there are various mid-conference actions you can utilize with the Fastmetrics business phone system. The default mid-conference actions are shown in the table below. 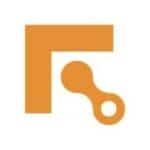 What Are The benefits Of Fastmetrics Conference Bridge Services? A conference bridge is typically superior to having multiple users making 3 way conference calls. 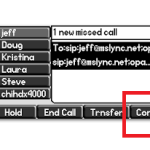 Long distance users far away from each other in the “call chain”, can experience timing problems in a phone conversation. This can appear as people appearing to talk over each other. A centralized hub or conference bridge that everyone calls, solves this problem. A Fastmetrics conference bridge using the metricPHONES hosted cloud PBX system, provides superior call quality over outside 3rd party conference bridges. How Much Is A Conference Bridge With Phone Service? 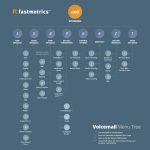 Every Fastmetrics business phone system includes 1 free conference bridge per company or customer. Additional conference bridges can be added for a monthly fee.